Company Overview - Shandong Aoweite Biotechnology Co., Ltd.
Shandong Aoweite Biotechnology Co., Ltd.
3YRSShandong Aoweite Biotechnology Co., Ltd.
Shandong Aoweite Biotechnology Co., Ltd. was founded in 2001. The registered capital is ten million yuan. Shandong Aoweite Biotechnology Co., Ltd. and Shandong YingYangYuan Food Technology Co., Ltd. is founded by Ms. Zhang. Since its establishment, the company is focused on the field of fruits and vegetables preservation, and is committed to provide system solutions of fruits and vegetables preservation for customers. The company mainly engaged in preservation technology research and promotion of fruits, vegetables and flowers, and production and sales of Preservative agent and film etc. The company has successfully launched a series of safe and efficient products, such as FK garlic sprouts antistaling agent, grape antistaling agent, orange antistaling agent, apple antistaling agent, kiwifruit antistaling agent, fumigation disinfection powder, banana ripening agent, mango ripening agent and so on. At present, our business has covered more than 20 provinces and cities in China, part of the products in the domestic market share of more than 80%.Company R & D center have strong technical force. There are 35 professional talents who are respectively from different majors in agricultural products storage and preservation, chemistry and chemical engineering, plant protection, horticulture and polymer materials. Among them, there are six professors and researchers, 14 people with intermediate title. They all study on fruit and vegetable antistaling agent for many years. 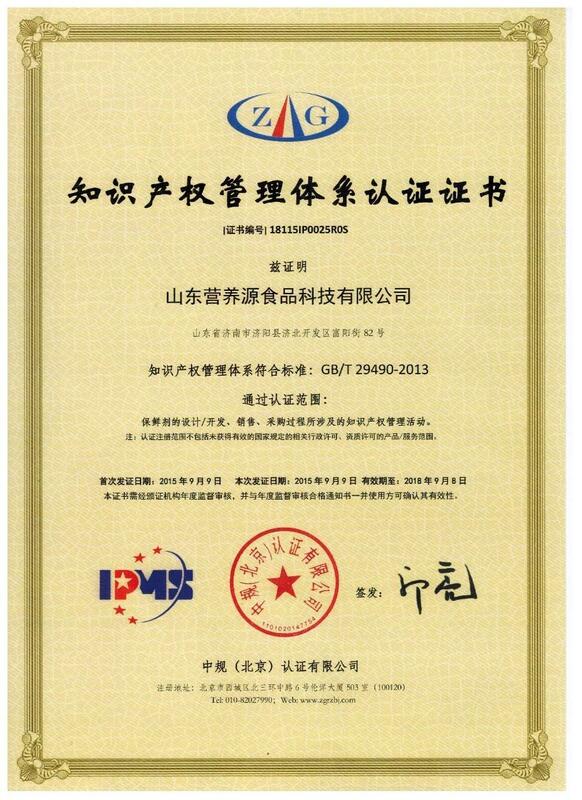 Until now, The company has applied for 63 patents, and there are 31 authorized patents.The company pays attention to technological innovation and technical cooperation between production, learning and research. And we have established a good cooperative relations with many scientific research institutes and the postharvest experts, such as Zhejiang University, Chinese Academy of Sciences and the University of California, Davis, Agricultural Research Center of the United States Department of Agriculture in the Pacific West area and Oregon State University and other units. The experts in these units regularly come to my company to carry out technical guidance every year.At the same time, our products have been more recognized and are exported to India, Pakistan, Turkey, Israel, Tajikistan and other countries. Now, the company is still in science and technology as the guide, and strives to pursue quality first, reputation first. The farmer's demand is our eternal pursuit! Intellectual property management activities in the design / development, sales and purchasing process of antistaling agents.